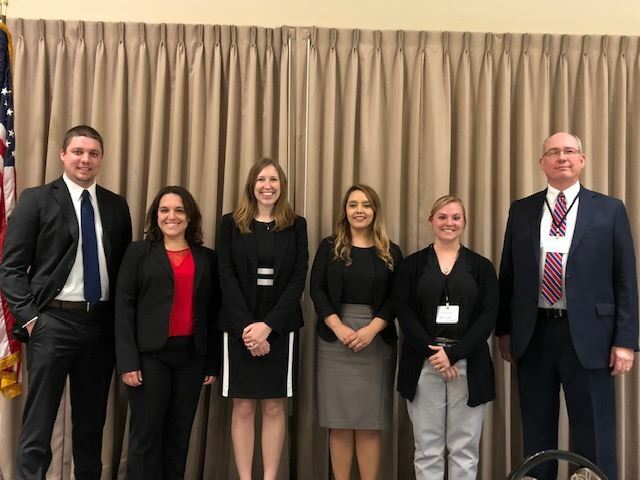 At the 2018 KCDAA Spring Conference on June 7, 2018, the Kansas Prosecutors Foundation presented six $1,500 scholarships to law school students. may not be a member within the first degree of relationship to either a member of the scholarship committee or the KPF board. Scholarship application forms shall be reviewed and approved by the KPF board of trustees. Scholarship application forms are due by March 31 of the year in which the scholarship is sought. The review period of the submitted scholarship applications shall be between April 1 and May 1. The scholarship committee will review only fully completed scholarship applications which comply to the directions of the scholarship application form. Application packets which fail to conform to the scholarship application form requirements by the due date will be considered incomplete and not considered. Final decision on scholarship recipients will take during the KPF Board Meeting each May unless otherwise authorized by the KPF Board. All applicants will receive decision notification, in writing, within ten (10) business days of the KPF Board decision. 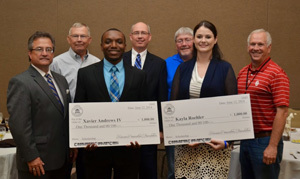 Scholarships shall be presented to selected recipients at the KCDAA conference in June. Scholarship recipients are required to accept the scholarship at the KCDAA Spring conference, unless waived, for good cause, by the KPF Board. A modest travel stipend is given to the winner for travel expenses.